The Sugar Daddies performed on stage at the Muckenthaler Cultural Center for their Holiday Festival. 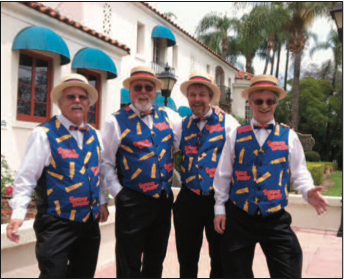 Met lots of great people and had fun singing in the Barbershop style. Oh, we also sampled some great beer from Bootleggers Brewery in Fullerton.